Recruiting the wrong candidate is an expensive mistake. 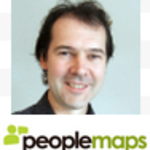 PeopleMaps helps recruiters hire the right candidate, using online, personality profiling psychology. If you are interested in psychology then this opportunity is for you. Applied psychology is growing rapidly in business, as organisations discover that people make a difference. Everyone that is recruiting is a hot prospect. Many of your existing contacts are good prospects. We pay 30% commission, even on repeat orders. You sell it once and thereafter the PeopleMaps system takes care of everything, including the repeat orders. 20 to 50 clients will provide you with an excellent, ongoing income. Mostly want to work over the phone. Enjoy consultative selling, where you advise customers on how to solve problems. Are you interested in psychology in general. Are comfortable learning how the technology works. It's user friendly but still requires you to be confident enough to demonstrate it.